I can offer you a tailored sensual massage experience that you will not forget. I use a double-bed for deep-tissue massages and also have a full pine sauna available for relaxation, or for full body massage. Alternatively, if you would like to enjoy my facilities with a partner, you are both welcome to do so with total discretion. In a sensual atmosphere, I offer a fully tailored deep tissue massage that is guaranteed to satisfy you. Using warm oils & carefully chosen scented candles, you will find this a very relaxing and enjoyable experience. Your comfort is assured as I use a comfortable double-bed for massages. 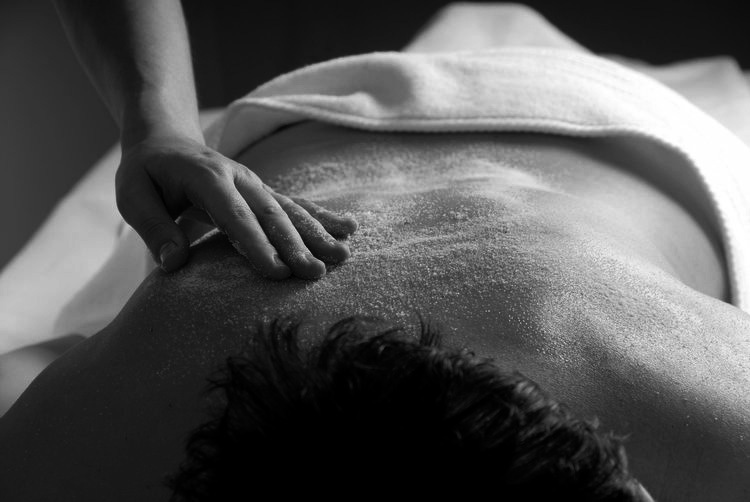 Sea salt is a wonderful ingredient and we know there are many benefits to using sea salt for massages. Sea salt contains a variety minerals and nutrients that benefit our bodies, particularly our skin. It can transform a massage into a powerful tonic which nourishes, invigorates and detoxifies the skin. If you would like to experience the sensual pleasure of a hot sauna massage with your partner, you are welcome to use my facilities in private & with my total discretion. I offer use of hot shower & sink for personal refreshment after your massage experience. You can avail of these facilities if you wish. I also have light refreshments available to you throughout your memorable experience.